Are you excited about this new series? 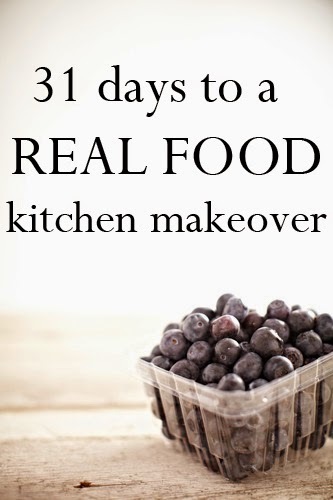 There is so much info to share and only 31 days to do! So lets get started. The number one staple in our home is coconut oil. I use it in almost all of my cooking. My husband often jokes that I think coconut oil can save the world. That's a little bit of a stretch but there is very little coconut oil can't do. I use it in place of butter, margarine or olive oil for cooking. When I make the kids a grilled cheese sandwich instead of buttering both sides I put coconut oil on it. I use it when I am sautéing vegetables, whipping up some scrambled eggs, or browning chicken. I also use it to season my cast iron skillet. Before using coconut oil I used a lot of olive oil. The problem with olive oil is that at high temperatures it turns into trans fat. Trans fat is very bad for you. It raises your bad cholesterol levels and lowers your good cholesterol levels. Olive oil is good for making salads but should never be heated. Coconut oil can be used at high temperatures without turning rancid or losing its healthy properties. It can aid in weight loss, boost your metabolism, it has anti-fungal properties, can be used in beauty products and so much more. Here is a blog post that compares the different oils. Please throw out your margarine, vegetable oil, and regular butter. (raw or grassfed butter is ok. We will discuss this in a different post) Here is a wonderful post on why you should get rid of these things. Because people don't have a lot of free time my goal is to make these posts short and sweet but on occasion I will link to other posts so you can read further about different points. I hope you enjoy this new series! I did not know that about heating Olive oil! 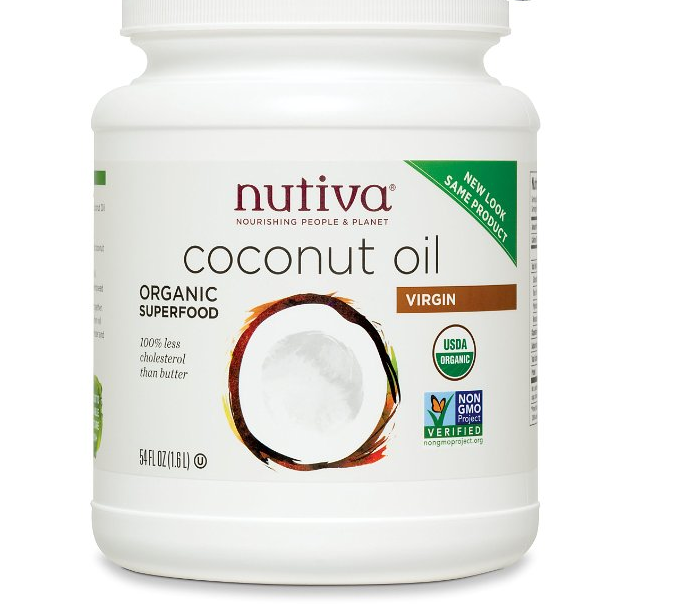 Thanks for sharing this little nugget about coconut oil... this post was the perfect length. Just enough info to learn a little something, but not so much as to overwhelm. Looking forward to the rest of the series! Wonderful tips for 2011 marriage ceremony cake design and style would help you to select a trendy baked comfort food. You have to be informed about the latest wedding cake design. Have you ever wondered what the big deal is about bakery boxes? Take a look at this comfort recipes and see all that is involved in making them.